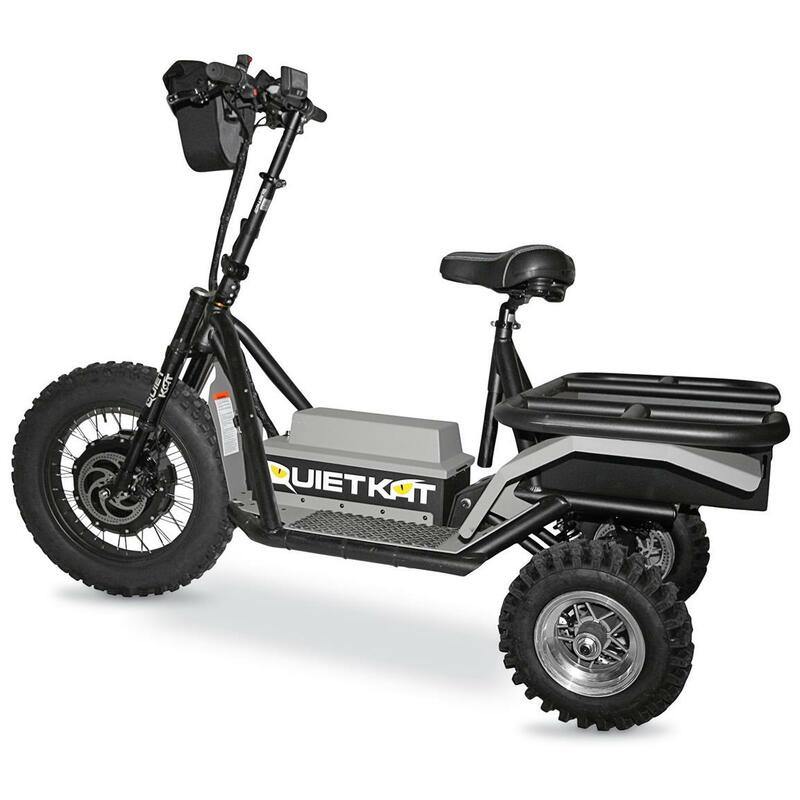 For decades, gas guzzlers ruled the trail, but QuietKat® is delivering a major shock to the system! The 100% electric Rancher blends advanced components with a surprisingly powerful in-hub electric motor to create a lightweight Off-road Vehicle that can go almost anywhere and do almost anything a typical ATV can do. 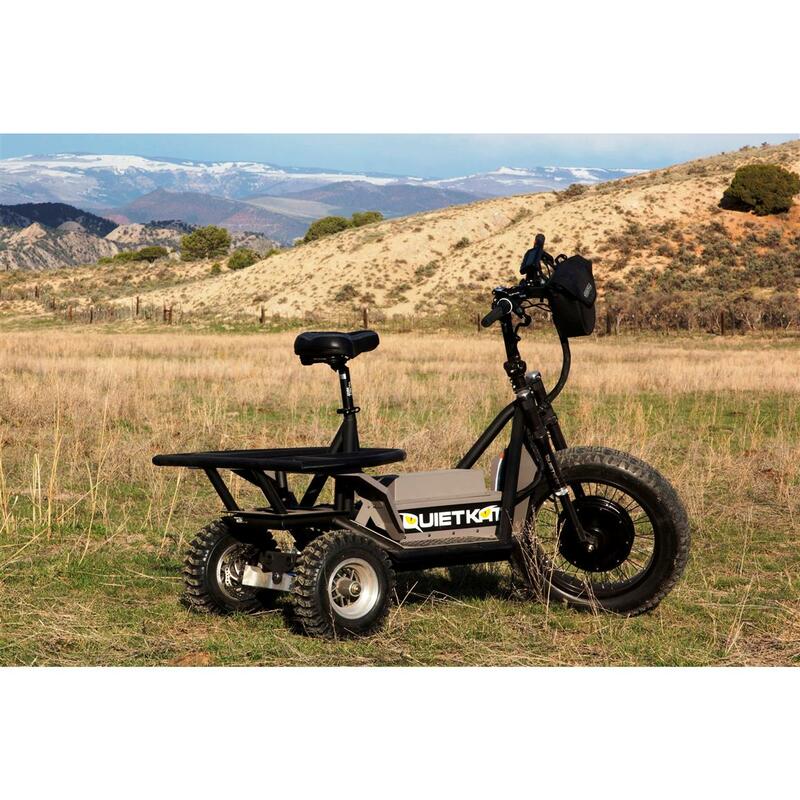 Make no mistake... this is far more than a simple scooter or similar mobility solution... the QuietKat is DESIGNED AND BUILT for the Great Outdoors... to take you off the beaten path, into the backwoods, over rugged trails and across challenging terrain that a city slicker-type scooter just can't handle. The Rancher can easily handle grades up to 20°, and has up to 15° of lean technology to keep you level. 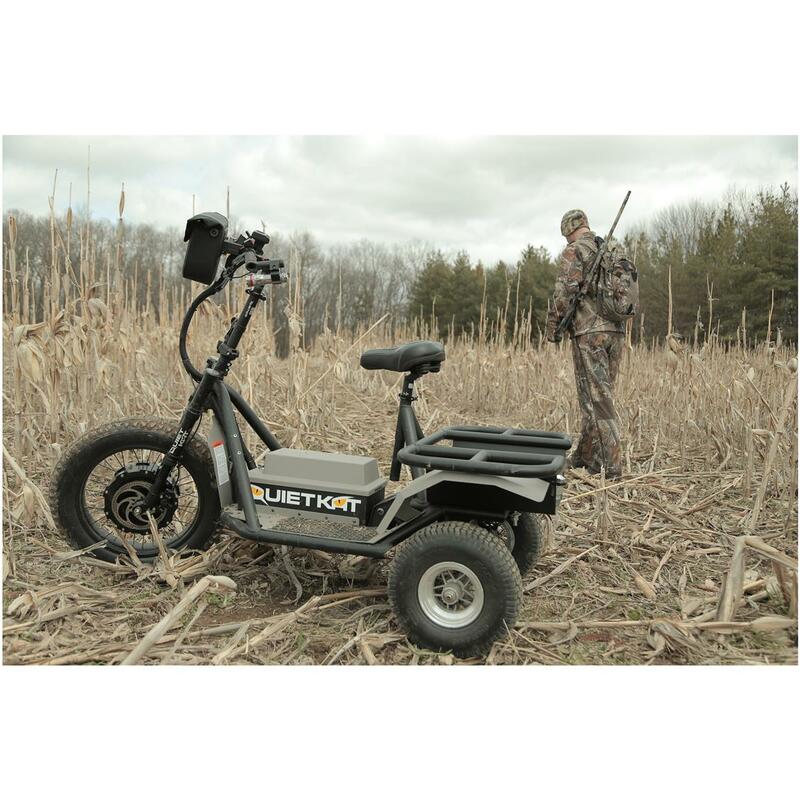 It's got the heart of an ATV, a thirst for adventure and a whisper-quiet electric power plant... all for thousands less than an expensive, bulky ATV that's a chore to haul and store. 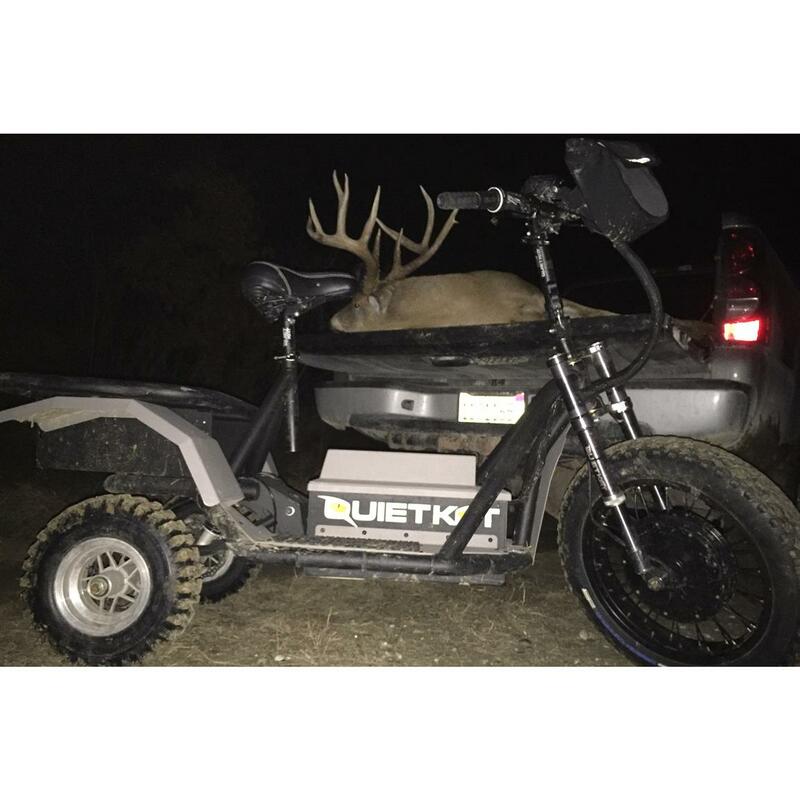 For those who can't use, don't need, or don't want to pay for an expensive 4-wheeler, the Rancher is a much more affordable alternative. It also happens to be less noisy, less stinky, and a LOT easier to haul. It'll even fit in the back of an SUV! 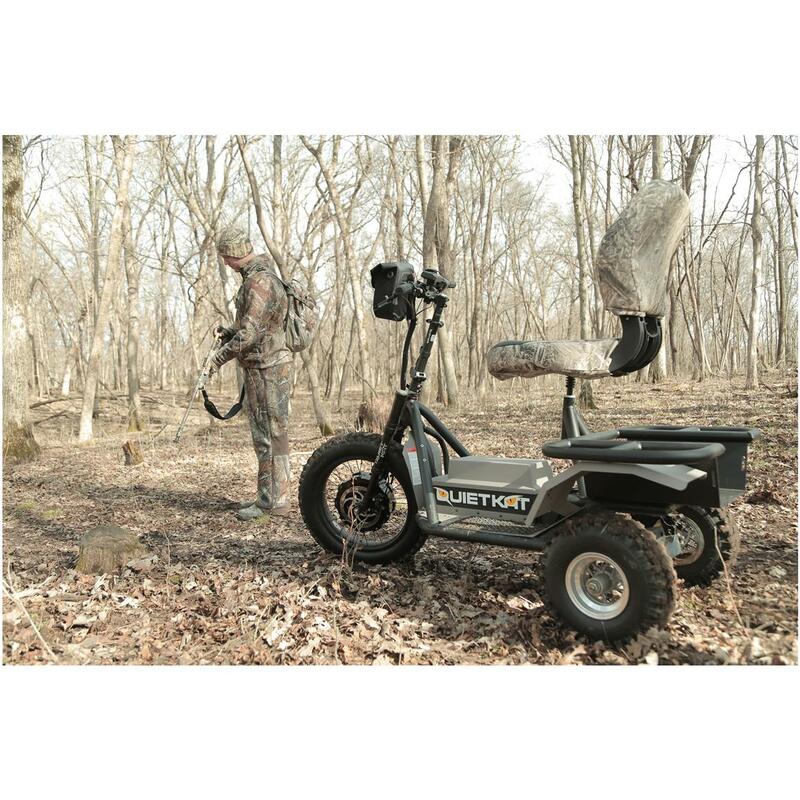 Fantastic for those with limited mobility who still have the passion to hunt or get back to their favorite fishin' hole. Recommended weight carrying load up to 325 lbs. (rider and gear). Note: We do not accept returns on QuietKat vehicles. If your vehicle needs repair, take it to an authorized service center for repairs under manufacture warranty guideline. If you need help finding a service center, please contact QuietKat Customer Care at 970-328-2399. Note: This item is shipped by commercial carrier curbside. Unloading is the customer's responsibility, including off the back of the truck. This product ships in one box, measuring 58"l. x 30"w. x 20"h. and weighing approx. 150 lbs. No expedited delivery. High-value orders require a physical street address, otherwise insurance costs will be added to the shipping total. Tread lightly... park the truck, leave the ATV behind and take your new QuietKat instead! Order now!